If you are taking a Disney Cruise to the Bahamas, you might be wondering what excursion you should take. One place that everyone wants to go to is Atlantis, Paradise Island Resort. While a wonderful resort full of fun things to experience, not everyone has the time or the money to spend a full day at the water park. 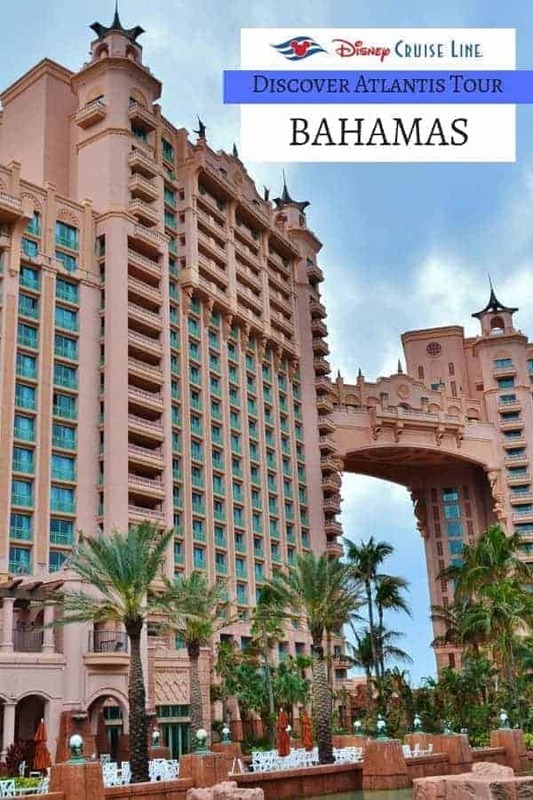 Another option is to do the Discover Atlantis Tour which gives you a great guided tour of the best features of the Atlantis Paradise Island, Bahamas Resort without the hefty price tag and the all day commitment.This tour does not include access to the Atlantis pools, beaches or Aquaventure. What Will You Do on the Discover Atlantis Tour Cruise Excursion? You will get to tour the interior lobby of the Atlantis Bahamas Resort. This is no ordinary lobby. There are specialty, high end shops just off the lobby and beautiful artwork to enjoy. 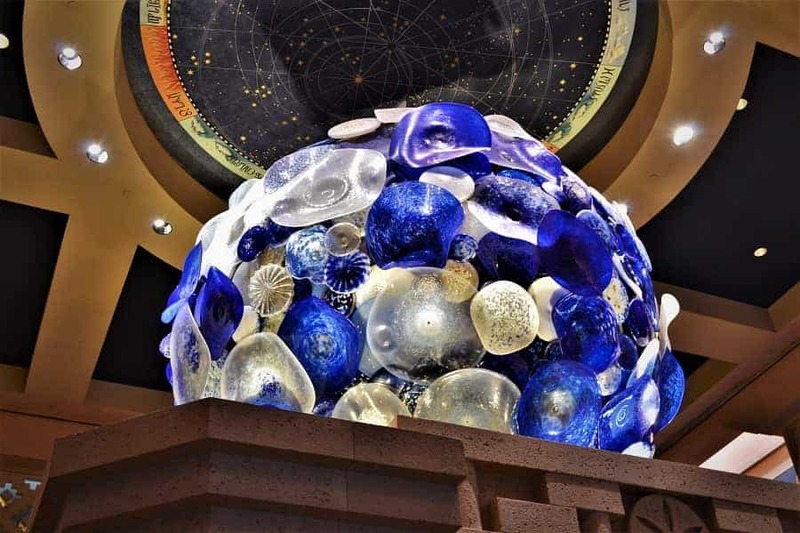 You will find Chihuly sculptures through out the lobby of Atlantis Bahamas resorts. If you are unfamiliar with Chihuly glass, the masterpieces he designs are colorful and allow light to reflect & bounce off in a way that really makes his creations sparkle. 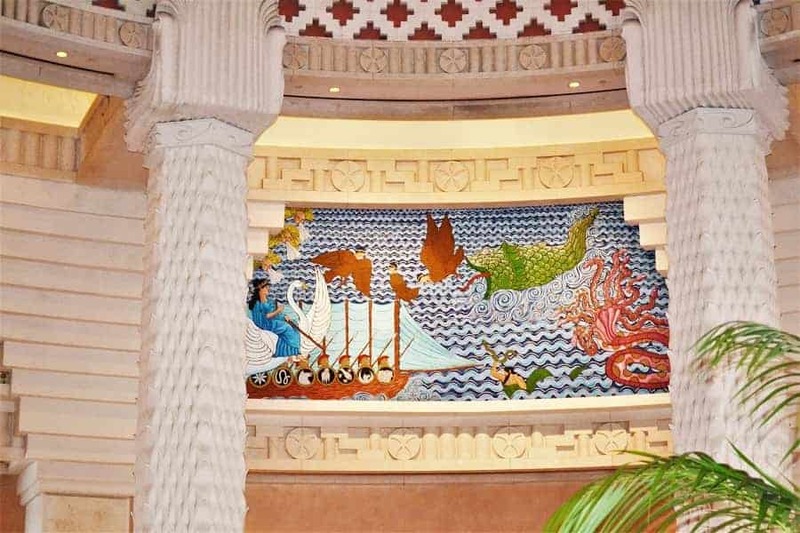 Because the Atlantis Bahamas resort is so named after the fictional lost city of Atlantis, you will find murals and architectural details that make you feel like you are in an ancient city. Beyond the lobby, you will get the chance to also tour part of the Atlantis Bahamas Aquarium. This is the largest open-air marine habitat in the world. You will find 14 lagoons & more than 50,000 aquatic animals. 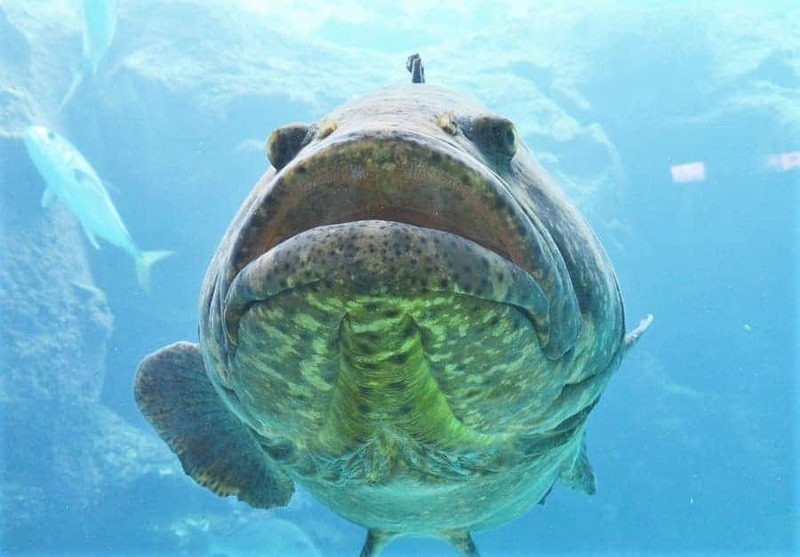 You will see sharks, sting rays, and just about every kind of fish imaginable in their extensive salt water tanks and lagoons. We found this tour to be family friendly and a great way to see Atlantis Paradise Island without having to commit to an entire day excursion. You can book this tour directly through Disney Cruise Line or on your own on the Atlantis Paradise Island website. Disney Cruise Excursion for Discover Atlantis Cost: Around $40 per person. Children under 4 are free. Other things to do in Nassau for a day trip.